Hire a Fiat 500 Convertible in Corfu. Rent a Fiat 500 in Corfu and explore the island in style in this gorgeous vehicle. We provide the latest Fiat 500C for hire in Corfu. Hire a Fiat 500C Convertible in Corfu by Rolandos at competitive prices. 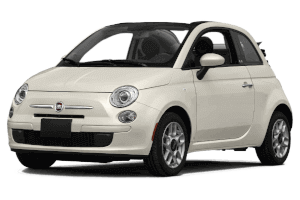 Rent the new Fiat 500C Cabrio and drive around the island with style. This gorgeous little car can convert into a cabriolet with a touch of a button! The Fiat 500 is suitable for up to 4 persons, however, with two doors and 1.200cc engine it is more comfortable for two passengers. You can hire the Fiat 500C in Corfu airport. We can deliver it at Corfu airport upon your arrival, at any time. You only need to consider the boot space. Two passengers wouldn’t have a problem, as some small luggage could also be stored on the back seats. 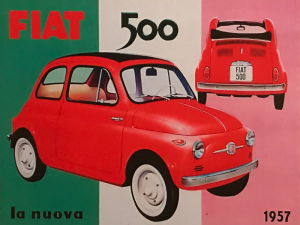 The new Fiat 500 is the successor of the legendary Fiat 500 of 1957. The very first model was equipped with a two-cylinder 499cm² air-cooled engine, with just 13 horse power. The italian firm stopped its production in 1975. 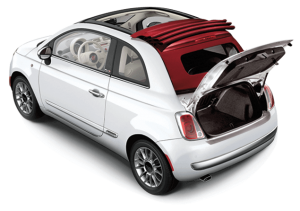 Rolandos provides the latest Fiat 500 Convertible model in the European Market. Fuel efficiency, comfort, economy and safety are at highest standards. 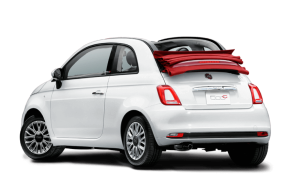 Book online your Fiat 500 Cabrio now with Rolandos. Highly recommended, excellent condition cars for reasonable price. Anestis was very helpful and even explained well about places to visit... read moreHighly recommended, excellent condition cars for reasonable price.